This classic Chateau has one of the greatest terroirs of Bordeaux. 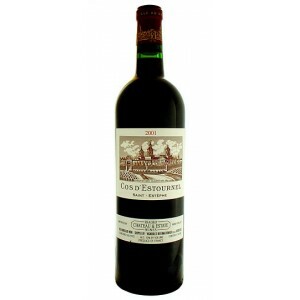 Quality is always high but en primeur prices are usually reasonable – especially so in comparison to those of traditional rivals and neighbours Cos d’Estournel and Montrose. There is a new young winemaker – Vincent Millet, brought in from Chateau Margaux. Only 60% of the crop was used for the Grand Vin this year with much of the Merlot being relegated to the second label. 76% Cabernet Sauvignon and 24% Merlot. Good colour, intense and attractive nose. Ripe cherry and blackcurrant with some smoky new wood, minerals and black pepper. Spicy red fruit, juicy and lingering finish. An attractive, medium weight Calon Segur. Categories: Our Selection, Premier, Wine, Red Wine. Tag: Sold per bottle.